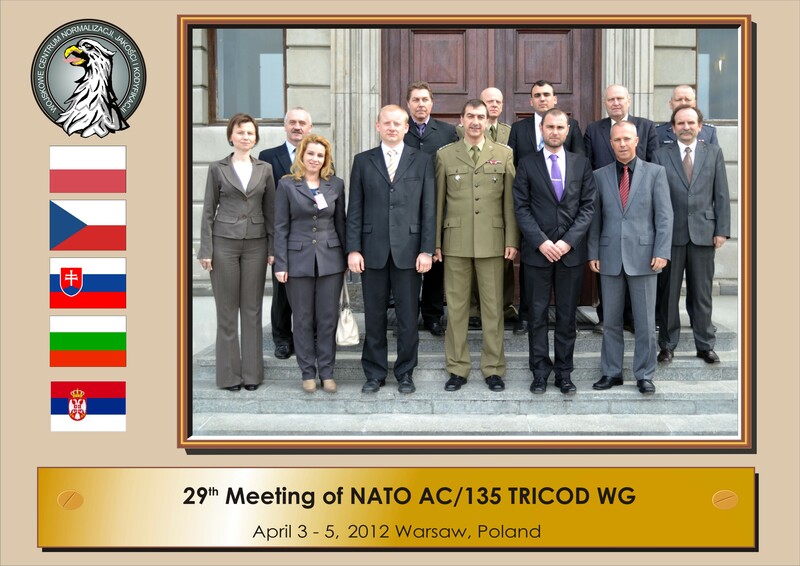 Marijana Filić , representative of the Ministry of Defence of the Republic of Serbia, participated at 29 TRICOD working group meeting, the NATO Codification Committee AC/135 which was held in Warsaw, Poland, from 03.04. to 05.04.2012. TRICOD Group is engaged in codifying items-eastern origin and members of the group are Czech Republic, Poland, Slovakia, Hungary and Bulgaria. Concerning presence of representative of the Republic of Serbia at the meeting direct cooperation with the member states was established. Different procedures used in the process of the codification were analyzed and procedures which may be used by us in the further implementation of codification system. The next TRICOD meeting will be held in October in Sofia - Bulgaria.